Made in Kentucky, our simple but innovative QUICK TURN UNIVERSAL (QTU) Series of small-footprint CNC turning centers has a price-performance ratio that’s unmatched in high-precision small parts production. 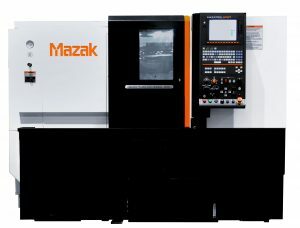 Perfect for job shops and first and second tier automotive suppliers, the Series features a diverse machine selection, including models with upper turrets for rotary tool milling, second spindles and Y-axis capability, to productively and affordably fulfill any manufacturing requirement. 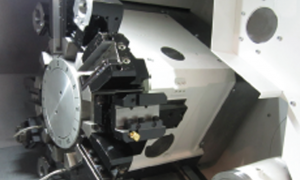 A special servo-driven turret design on the QTU machines offers multiple tool configurations. The turret uses a roller gear cam drive system to achieve smooth high-speed, high-accuracy indexing motion as well as eliminate the need for expensive curvic/index couplings. 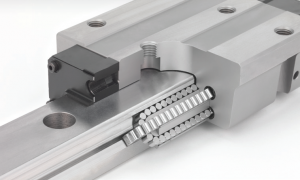 Without these couplings, it is possible to increase the turret to include up to 25 small tools as well as program an infinite number of index positions without having to make any changes on the turret housing. Chip conveyor system provides fast, low-maintenance chip management, while flood coolant evacuates chips quickly and efficiently from the machine’s work envelope. 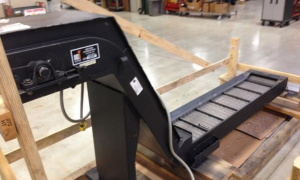 Choose between a high 48-inch or low 18-inch discharge chip conveyor. The complete chip system, which fits within the footprint of the machine, helps prevent production slowdowns caused by chip buildup.